Lara Schwartz specializes in civil discourse and campus speech, constitutional law, civil rights, politics, communications, and policy. Drawing on her experience as a legislative lawyer, lobbyist, and communications strategist in leading civil rights organizations, Lara brings an advocate’s-eye view to her teaching. Prior to joining the SPA faculty, Lara served as Director of Strategic Engagement at the American Constitution Society for Law & Policy. Previously she served as Courts Matter director at Media Matters, Legal Director at the Human Rights Campaign, and Vice President of External Affairs at the American Association of People with Disabilities. 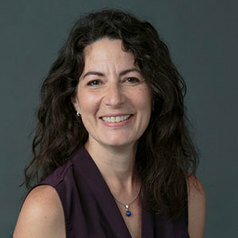 She is co-author, with Andrea Malkin Brenner, of "How to College: What to Know Before You Go (And When You're There)." Their book is a practical guide to the transition to college that demystifies the college experience and helps students capitalize on the summer following high school graduation.